Last night at CinemaCon, former Sony chief and current Spider-Man: Homecoming producer Amy Pascal hinted that Spidey could leave the Marvel Cinematic Universe after his planned 2019 sequel to this summer’s solo movie. 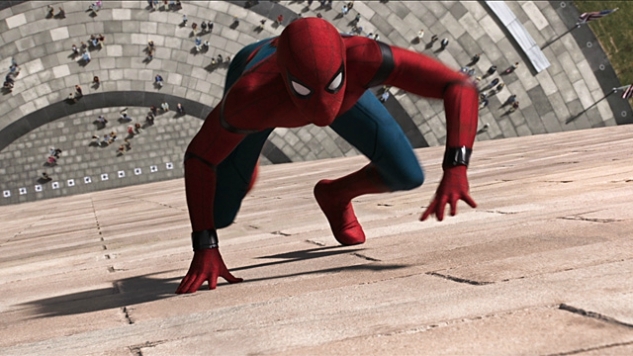 Back in 2015, Spider-Man rights-holder Sony struck a deal with Disney’s Marvel Studios that allowed the latter company to include the previously off-limits Peter Parker in their interconnected films. This pretty much unprecedented deal let Sony keep the film rights to Spider-Man, while Marvel was allowed to freely use the same version of the character in a number of their own films. We last/first saw the most recent, Tom Holland-played Spider-Man in last year’s Captain America: Civil War. One of the things that I think is so amazing about this experience is that you don’t have studios deciding to work together to make a film very often. In fact it may never happen again, after we do the sequel [to Spider-Man: Homecoming]. As it stands now, the MCU has guaranteed use of Spider-Man in this summer’s Homecoming, next year’s Avengers: Infinity War, the 2019 follow-up Avengers movie and the sequel to Homecoming set for later that same year. Though it seems unlikely Sony would want to give up such a lucrative deal, it’s unlikely the contract would be extended until after the studio can assess the performance of July’s Spider-Man solo picture. Still, it certainly raises some eyebrows that Pascal’s remark came soon after we learned of Sony’s somewhat baffling plan to launch another MCU of their own. Be sure to check back with Paste for any developments on Spidey’s shared film rights. In the meantime, you can check out yesterday’s brand new trailer for Spider-Man: Homecoming here.